One of the best examples of human factor engineering is the automotive seat. Automakers have spent countless hours and millions of dollars perfecting the perfect driver’s seat for their cars. The seat needs to be a fits-all that caters to the comfort of each individual. So, maximum adjustability is super important. 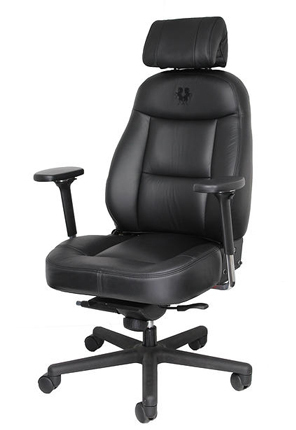 A wide range of movement back and forth, adjustable seat angle, movement of the seat independently from the back, adjustable arms, adjustable back angle, lumbar support and height adjustment are all valuable factors. Today’s seat fabrics are porous and breathe for more comfort and many contain both seat warmers and fans. The next criterion is that all adjustment must be performed while the driver is seated and the car is in motion. Many of these same factors hold true for the work place depending on the environment. If the operator is a dispatcher or a call taker in an operation that is open twenty-four hours a day, seven days of the week, we call the operation a 24×7 environment. This means that there are most likely three shifts per seat and each shift is eight hours. So, the chair has to be comfortable and at the same time adjustable to the individual needs of each shift operator that uses it. At Americon, we sell a number of 24×7 task chairs based on whether the customer wants a mid-back or high-back, fabric or mesh and medium or wide. Each is adjustable from the seated position and can even have adjustable lumbar support. These chairs are manufactured by a leading chair manufacturer who has available a number of bio-mechanical options and the chairs rugged to meet the needs of a 24×7 environment. We also have a special chair that we call “Our Best”. This chair was designed in the likeness of the most expensive European luxury cars. It can be used as a task chair or an executive chair. We present it in full leather with a porous cloth insert for comfort. It has back angle adjustment using a lever just like the finest automobile seats and includes height and depth adjustable head rest, inflatable lumbar support along with seat and arm angle adjustments. There is also an adjustment for the seat depth, chair height and comes with a substantial five star caster base. By no means, inexpensive, “Our Best” is built to the high quality standards and has a ten year warranty of all materials and workmanship.